Nine words. That’s all I wrote in my diary at 1.30am on 21st January 2007. Four girls with magic power. East. South. West. North. 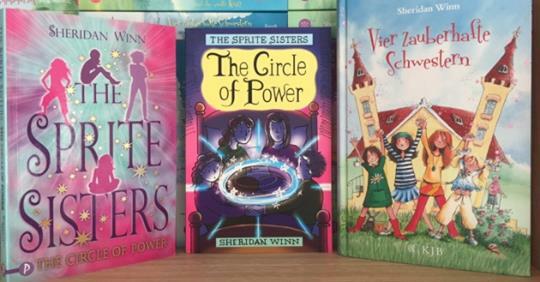 I am delighted to announce that Story House Media Group has confirmed production of the film of the Sprite Sisters books. One of Germany’s best-known screenwriters, Hortense Ulrich has written the original script, and a well-known German star, Katja Riemann, will play Glenda. 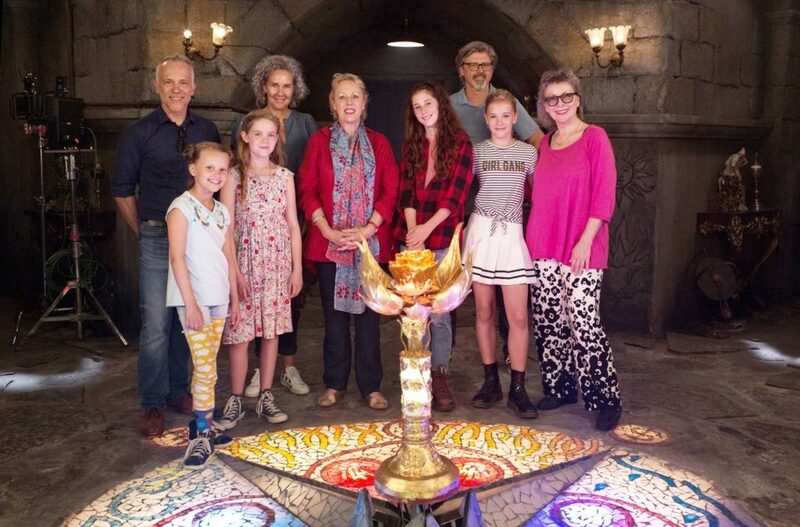 The film will be released in Germany in 2019. Let’s hope a UK publisher picks up the books soon! I am delighted to announce the publication of the second Sprite Sister prequel Vier zauberhafte Schwestern – Wie alles begann: Marina und die Kraft des Wassers. Marina is delighted when she discovers her power of water and cannot wait to use it. Things are not easy as she has to keep her magic secret and learn to control it – and she soon finds out that water is not as safe as she thought. 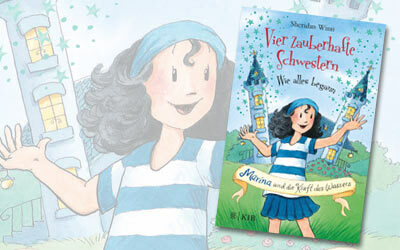 Marina’s Story is the second title in the WIE ALLES BEGANN series published by FISCHER KJB. Aimed at younger readers, the stories can be read as ‘stand-alone titles’ or as part of the series. The third prequel, Ash’s Story, will be published in Germany in the Autumn 2018. 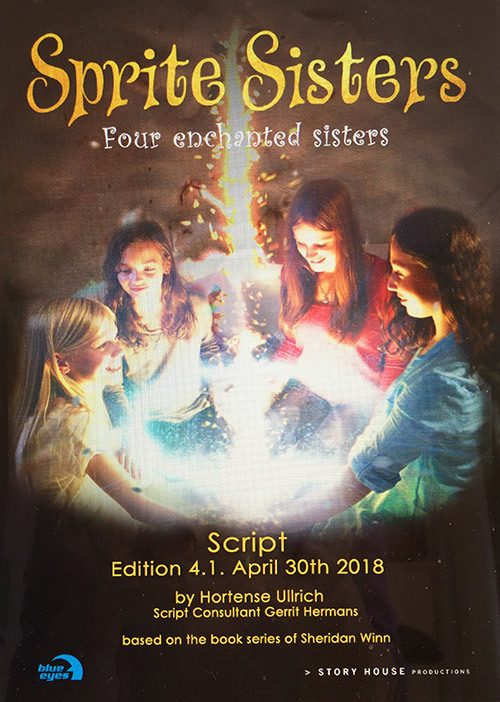 The fourth prequel story, The Sprite Sisters’ Christmas Adventure will be published in the Autumn 2019. 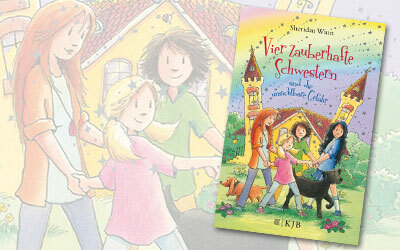 I am delighted to announce the publication of Vier zauberhafte Schwestern und die unsichtbare Gefahr – the tenth Sprite Sisters’ title. 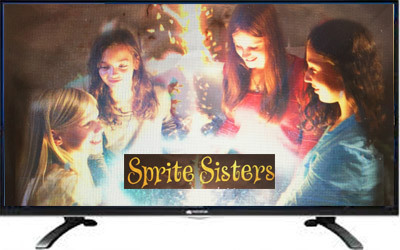 I have now written ten Sprite Sister stories in the main series, along with three prequels. That’s thirteen books and I will probably stop there. But we will see!